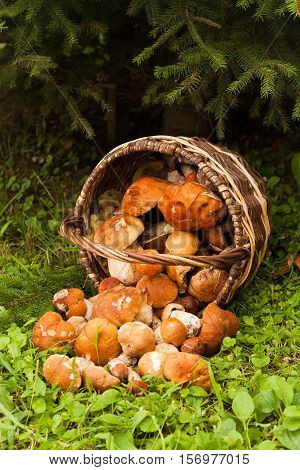 Beautiful Landscape With Edible Mushrooms In Wicker Basket In Forest. White Mushrooms Boletus Edulis. Harvesting Mushrooms.